The new highway Wenling, Zhejiang province in China is wide, well paved and almost finished. Almost finished except for the five-storey house sitting right in the middle of it. 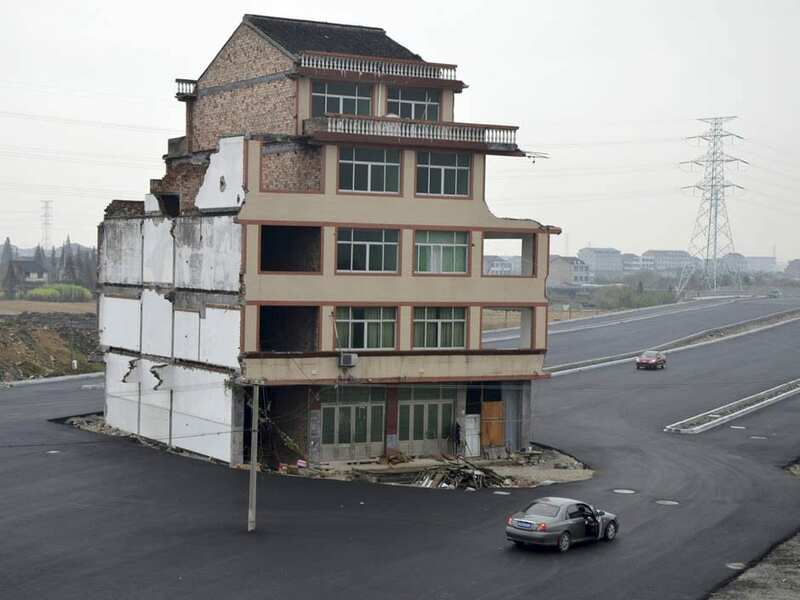 Luo Baogen and his wife from Xiazhangyang village did not feel they were being offered enough compensation to relocate when Chinese government decided to build a highway where their house was. So the government build the highway … leaving the house in the middle of the road. This entry was posted on November 23rd 2012 at 3:49pm/15:49 and is filed under Live News Column 1, World News. You can follow any responses to this entry through the RSS 2.0 feed.